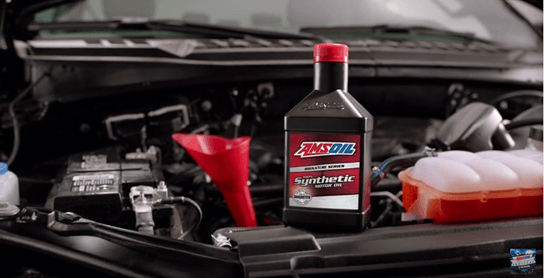 AMSOIL is the recognized leader in synthetic lubricant technology. For more information about AMSOIL and AMSOIL products visit www.amsoil.com or call (715) 392-7101. The mission of the United States Air Force is to fly, fight and win … in air, space and cyberspace. To achieve that mission, the Air Force has a vision of Global Vigilance, Reach and Power. That vision orbits around three core competencies: developing Airmen, technology to war fighting and integrating operations. These core competencies make our six distinctive capabilities possible. Air and Space Superiority. Global Attack. Rapid Global Mobility. Precision Engagement. Information Superiority. Agile Combat Support. Core Values. Whoever you are and wherever you fit on the Air Force team, the Core Values are what you will live by and learn to cherish. The Core Values are much more than minimum standards. They remind us what it takes to get the mission done. They inspire us to do our very best at all times. They are the common bond among all comrades in arms, and they are the glue that unifies the Force and ties us to the great warriors and public servants of the past. 1.) Integrity First. 2.) Service Before Self. 3.) Excellence In All We Do. At Polaris, making great products is not just a job – it is a way of life. That is why our creed is etched in steel at the entrance at each of our locations. Our employees are not only building and designing our machines, they are also enthusiastic riders. This gives us the competitive edge as we work together to make the riding experience better. Polaris is a strong believer that the key to its success is in the ethics and values of its employees. The Polaris values were defined by its employees, and to prove that this is not just lip service, the Polaris Performance Management Program evaluates employee performance not only on delivered results but also on how well they represent company values. 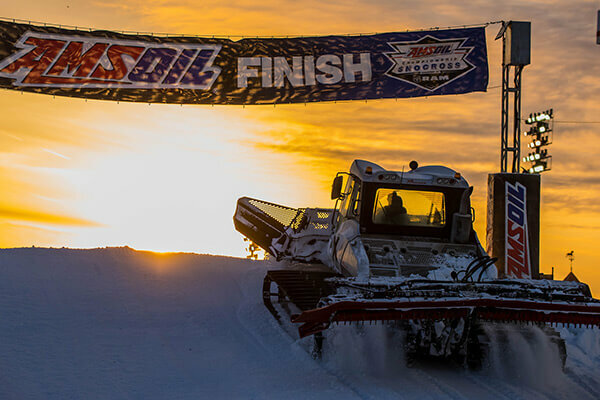 Arctic Cat Inc., based in Thief River Falls, Minnesota, designs, engineers, manufactures and markets snowmobiles, all-terrain vehicles (ATVs) and Side by Sides under the Arctic Cat brand name, as well as related parts, garments and accessories. The Company markets its products through a network of independent dealers located throughout the contiguous United States and Canada, and through distributors representing dealers in Alaska, Europe, the Middle East, Asia and other international markets. The Arctic Cat brand name is among the most widely recognized and respected names in the snowmobile, ATV and Side by Side industry. Bombardier Recreational Products is a global leader in the design, development, manufacturing, distribution and marketing of powersports vehicles and propulsion systems. Its portfolio includes Ski-Doo and Lynx snowmobiles, Sea-Doo watercraft, Can-Am all-terrain and side-by-side vehicles, Can-Am Spyder roadsters, Evinrude and Rotax marine propulsion systems as well as Rotax engines for karts, motorcycles and recreational aircraft. BRP supports its line of products with a dedicated parts, accessories and clothing business. With annual sales of over CA$3 billion from 105 countries, the Company employs approximately 7,100 people worldwide. One of the reasons for the continuing growth is FXR’s ever expanding product line. Every year new products are added and tweaked in order to offer the best possible product to our customers. In the upcoming 2013 Snow season, FXR is offering hundreds of different styles and colors of jackets and pants for men, women, and children. In addition to jackets and pants, we have gloves, boots, headwear, and casual lines for men and women. FXR is also redefining the mountain category. Along with our regular mountain specific gear, we are also introducing our elite FXR “Mountain Air” series. Dedicated to the high performance mountain rider, we have industry leading quality boots, the lightest helmets in the market, and of course the best technical jackets and pants you can find. Production time is lost every minute a piece of equipment or machinery is broken down due to a hose failure which costs your company money.? ?Just one quick call to a PIRTEK Center will get a fully trained hose service technician and a fully stocked on site hose workshop on their way to your job site within one hour. The technician will promptly assess and remove the failed hose, manufacture and install the new hose and make sure the equipment is up and running before leaving.? ?On site hose workshops carry a large selection of high pressure hydraulic hoses and a wide selection of fittings including hard to find European and Japanese metric fittings needed to manufacture hose assemblies on the spot. Other accessories include adapters, caps and plugs, quick disconnect couplings, flange seals and oil. Each workshop is equipped with specialized equipment to cut, clean, tag and crimp PIRTEK matched hose and fittings on site. With an ETA of 1 hour on site, available day and night, PIRTEK needs to be your only call to minimize your equipment downtime! With 21 locations in Minnesota and Iowa, Ziegler is one of the largest Cat dealers in North America. Ziegler sells and services Cat construction, paving, forestry, and mining equipment, as well as Cat trucks, generators, and industrial engines. In the agricultural market, Ziegler represents Challenger, AGCO application, and Lexion machinery in Minnesota, Iowa, Wisconsin, and Missouri. We are all about sleds! Dennis Kirk has been in the aftermarket snowmobile business since 1969. At denniskirk.com we are committed to stocking what you need, and shipping it fast. From Parts and Accessories to Clothing and Helmets, you have access to a huge assortment that is in stock, priced right and shipped the same day (and free shipping for $89 orders). Give us a visit and let us show you what makes us different. 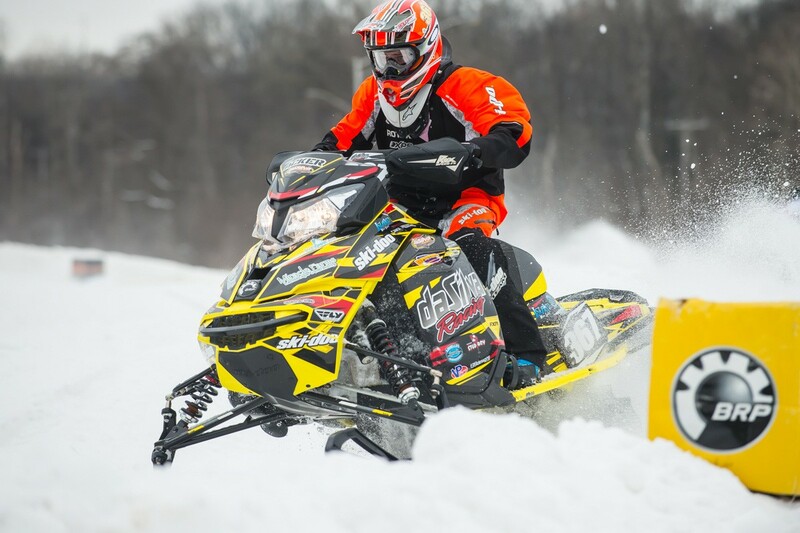 C&A Pro Skis is located in the heart of snowmobiling and leveraged their know-how of molding plastics to product a stronger, better performing snowmobile ski for racing. Following the race industry success, C&A developed after-market skis for mountain, trail and crossover snowmobile riding. This is where the tag-line “Ride Like a Pro” became known. C&A Pro Skis is a division of Pride Solutions LLC. The product is sold through powersport distributors worldwide. The www.caproskis.com website is a retail option for our customers. C&A Pro Skis tradename is owned by C&A Pro Skis LLC and exclusively licensed and manufactured by Pride Solutions, LLC. 48 United States ICC Common Carrier, Contract Carrier licensed, bonded broker authorities. The Long Haul Companies standard is to get shipments delivered in the same condition as they were picked up. Few carriers can make this claim. At our general offices, we maintain a professional and experienced staff. They are available to answer your questions over a wide range of logistics and distribution topics. Being in business for over 25 years, we have shown tremendous growth in our fleet and in client satisfaction. The Long Haul Companies are now handling over 31,000 shipments per year and for one reason…we never forget to keep our promises to you our customers. Give us a call and see why over 2,400 customers choose the Long Haul Companies as their carrier. In the Long Haul, we can do well together.